Jack is spending the summer on a private island far from modern conveniences. No Wi-Fi, no cell service, no one else on the island but a housekeeper and the two very peculiar children in his care. The first time Jack sees the huge black mansion atop a windswept hill, he senses something cold, something more sinister than even the dark house itself. Soon, he feels terribly isolated and alone. Yet he is not alone. The house has visitors—peering in the windows, staring from across the shore. But why doesn't anyone else see them . . . and what do they want? As secrets are revealed and darker truths surface, Jack desperately struggles to maintain a grip on reality. He knows what he sees, and he isn't crazy. . . . Or is he? 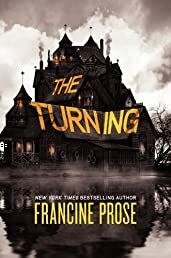 From nationally acclaimed author Francine Prose comes a mind-bending story that will leave you realizing how subtle the lines that separate reality, imagination, and insanity really are.